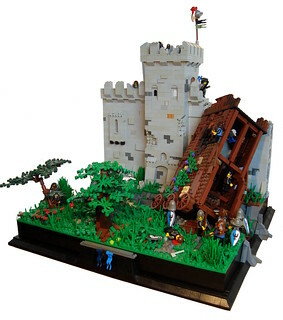 Classic-Castle.com • View topic - LCC 4th Global Challenge Finalists. VOTING CLOSED! LCC 4th Global Challenge Finalists. VOTING CLOSED! (LCC, for short). Every few months we run challenges to get everyone to build on a specific theme which advances the storyline. And all of Roawia was dragged into a state of war! The challenge for each participant was to re-create a MOC made previously by LCC builders adding to or changing the original design to suit their building style. You can learn more about the original challenge and see all the great entries HERE. There are some terrific prizes for the taking from Customminifigsyndicate.com and Capemadness! But the challenge is not over! After much deliberation, the factions have selected their representatives for the final inter-faction showdown! Who will prevail? It's up to you to decide! 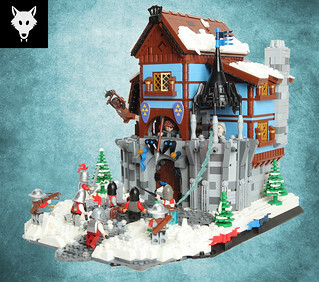 PM Garheim FO AK_Brickster your vote for your favorite finalist! Remember to take into account the theme of the challenge when voting (who did the best re-creation, and which best represents the spirit of the original), and for those of you who are members of the LCC, please vote for what you think is the best finalist, not just the one from your faction. VOTING IS OPEN TO EVERYONE, not just LCC members. We want to have participation from everyone on the forum! We Will Not Yield! by Gary^The^Procrastinator. 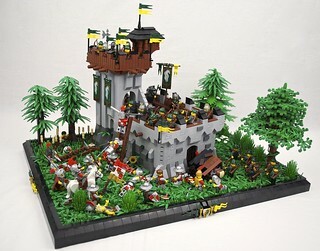 Second siege of Lost Souls by Atahlus. 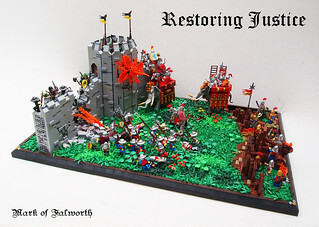 Restoring Justice. by Mark of Falworth. AFTER YOU VOTE, PLEASE COMMENT "VOTED" BELOW! This will give the LCC FO's a way to make sure that no votes slip through the cracks, and will also keep this thread bumped so that it doesn't get buried. VOTING CLOSES IN ONE WEEK! Last edited by Mark of Falworth on Thu Jun 13, 2013 5:50 pm, edited 4 times in total. Location: In the sands of Loreos. Re: LCC 4th Global Challenge Finalists. John 14:6, Jesus answered, "I am the way the truth and the life. No one comes to the Father except through me." Similar to the last GC, by voting you also will be entered into a prize drawing, so be sure to vote even if you are not a participant in the LCC project! 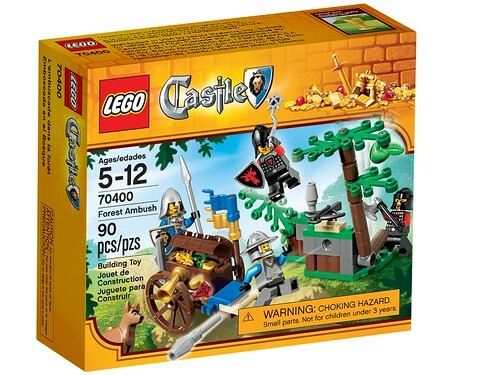 A sealed copy of the new set #70400 "Forest Ambush"!! What are you waiting for?? Vote now to be entered in the drawing!! Last edited by AK_Brickster on Tue Jun 11, 2013 4:09 pm, edited 3 times in total. AK_Brickster wrote: Similar to the last GC, by voting you also will be entered into a prize drawing, so be sure to vote even if you are not a participant in the LCC project! See, you didn't tell me about that. Last edited by Mark of Falworth on Fri Jun 07, 2013 12:24 pm, edited 1 time in total. What is the prize for the prize drawing? I'm anxious to know what the surprise is. Honor, Courage, Commitment. Semper Fi! Location: Currently crossing the sea to get away from the Queen's troops! You would rather be building right now. AFOL, Brony, Yeah... I am a child at heart!